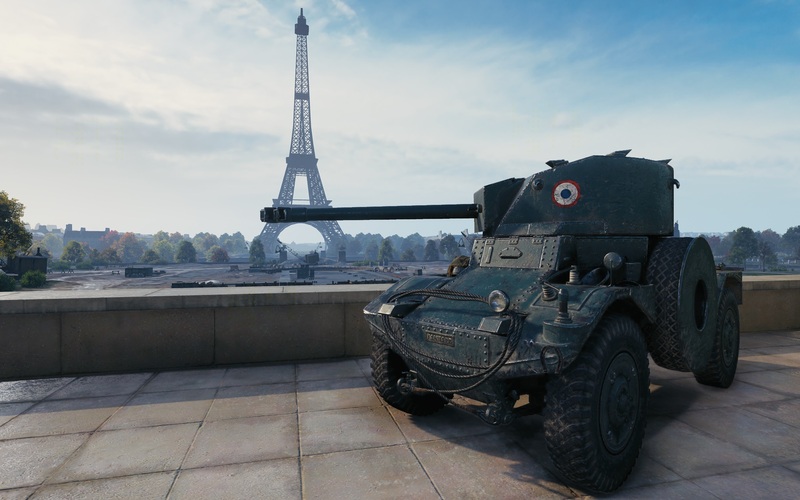 As you know, wheeled vehicles (or armoured cars) were introduced in World of Tanks with the latest update. This new class doesn’t just come with new mechanics and a different gameplay, they also have a rich history. 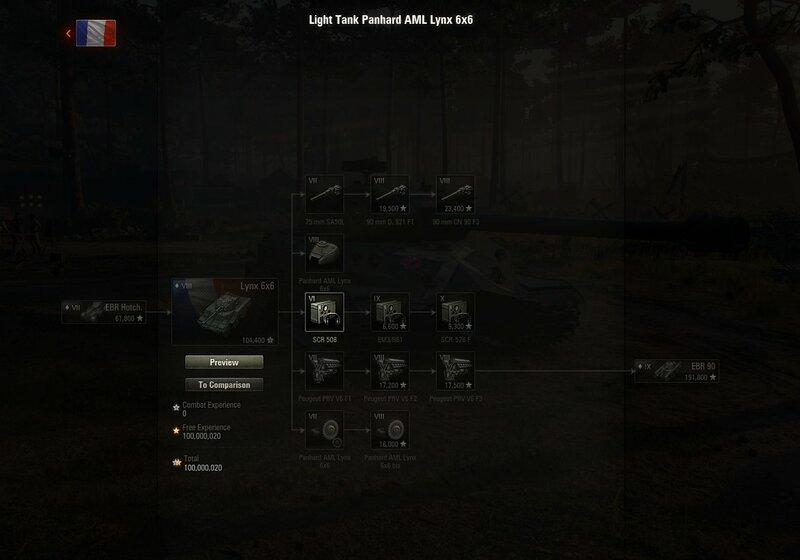 So let’s take a look at how they evolved from the point of their introduction to their role in military conflicts. 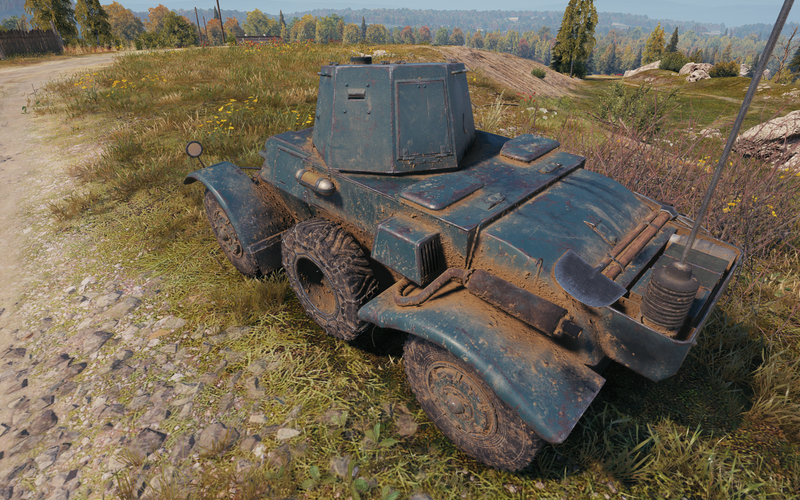 Let’s take another look at these active wheeled scouts! 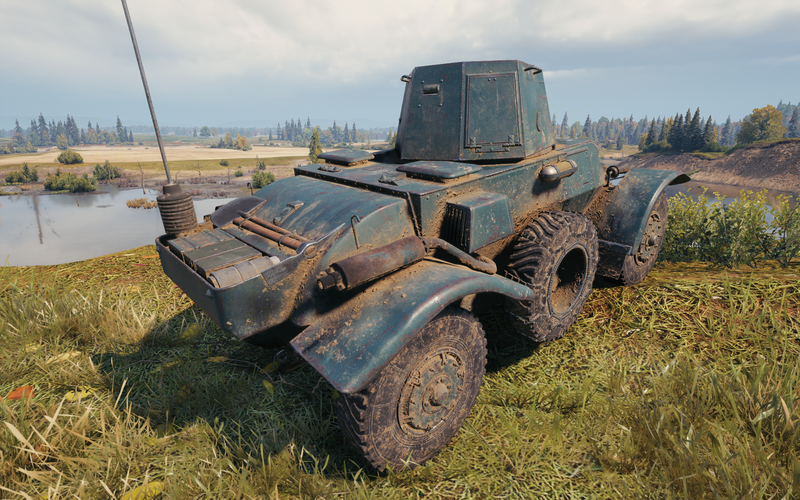 We’ll give you more details about each vehicle in the new branch, as well as some useful gameplay tips that will allow you to play more effectively. 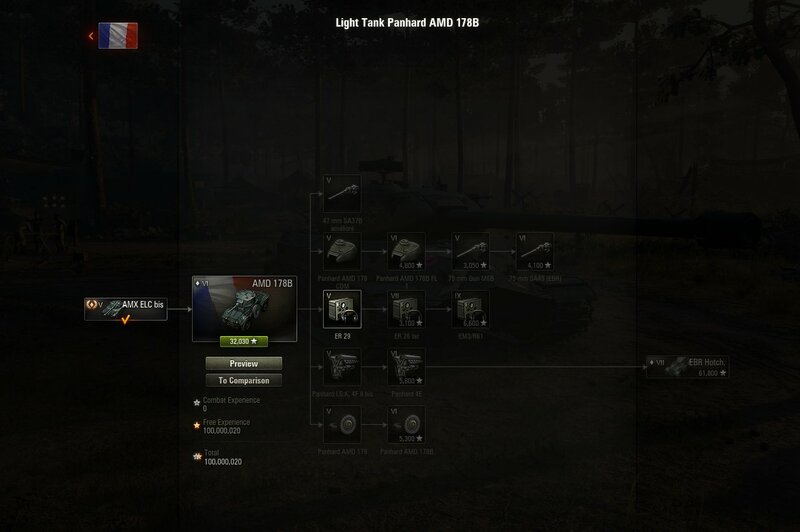 We have spent much time monitoring the tests of the wheeled vehicles and how you play them. 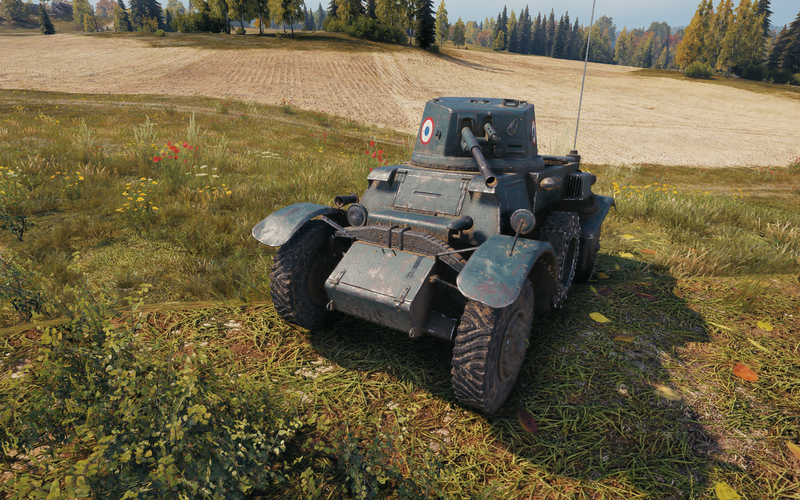 When it was necessary, we urgently responded by changing particular characteristics of the wheeled vehicles (for example, their top speed). 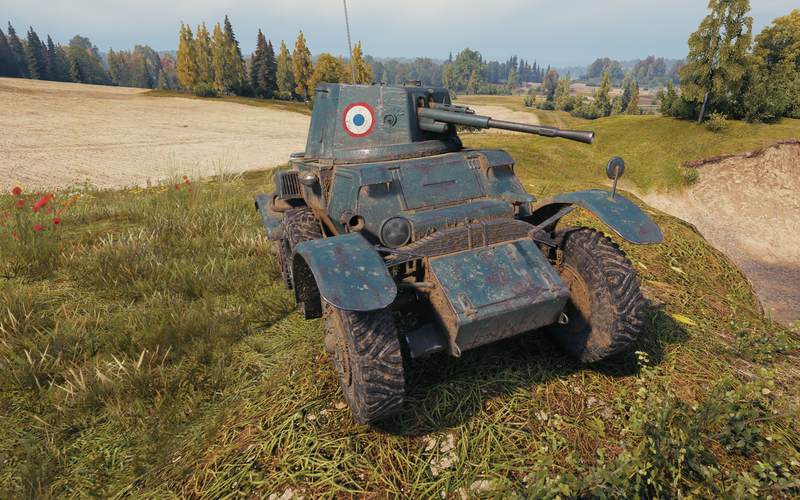 During the tests, we observed one thing: the boost mechanics available in the French wheeled vehicles was rarely used. 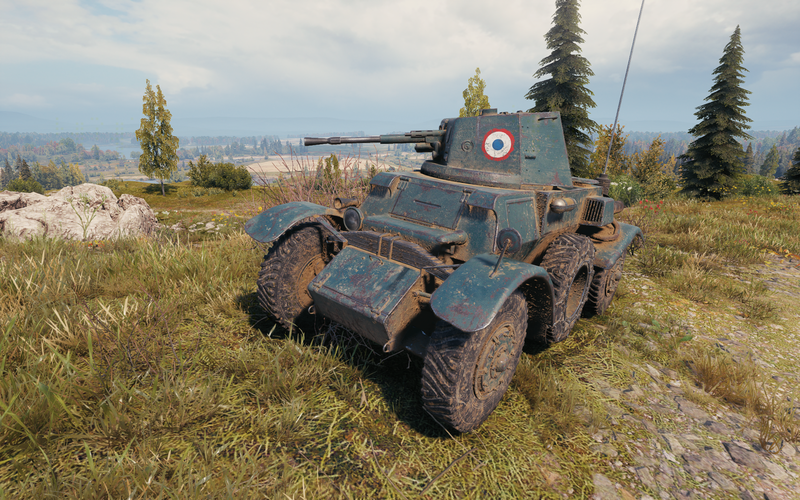 We’re starting the closed test for the first vehicle in the French armored car branch, the Panhard AMD 178B, which will sit at Tier VI. 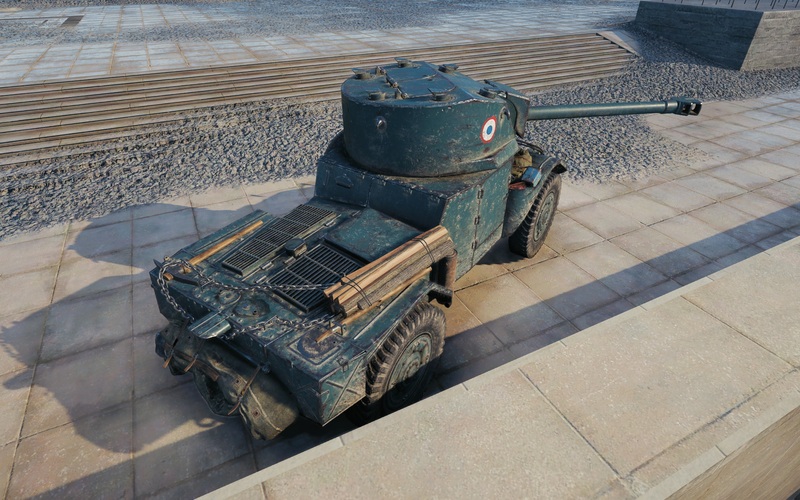 It carries a 75-mm gun and has two axles (and four wheels). 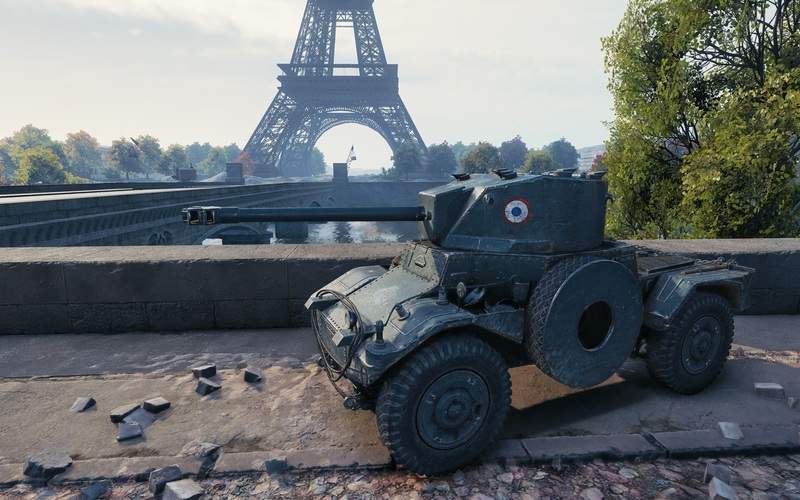 Of the wheeled vehicles’ new game mechanics, it offers only the special ‘magnet’ auto-aim. 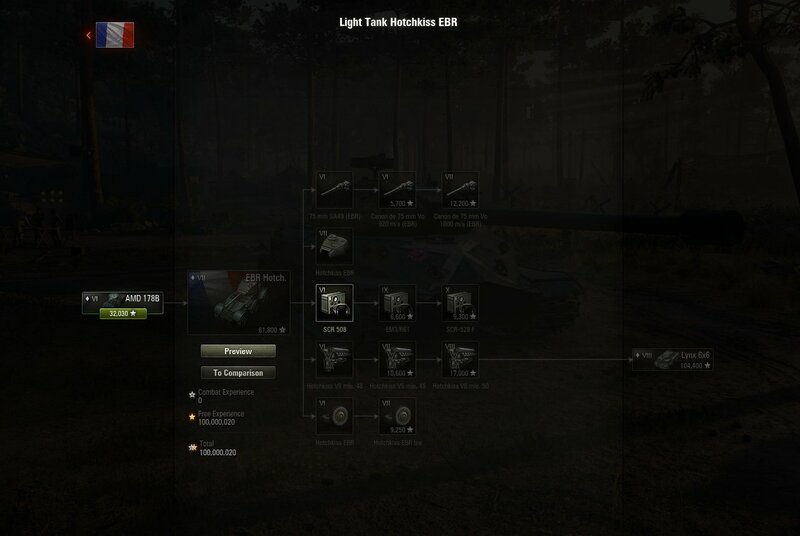 Two driving modes and the Charge ability are not available at this tier so that the vehicle isn’t overloaded with innovations and tankers get introduced to them step by step. 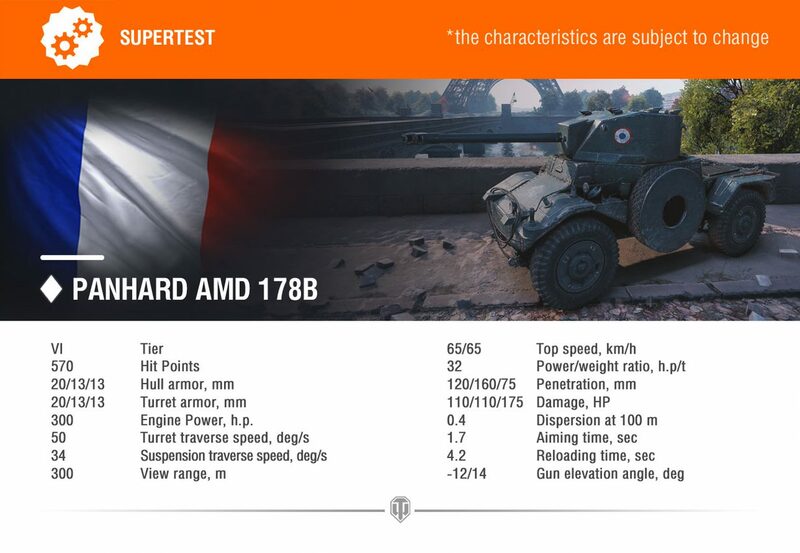 The closest ‘relatives’ the Panhard AMD 178B has gameplay-wise are light tanks. 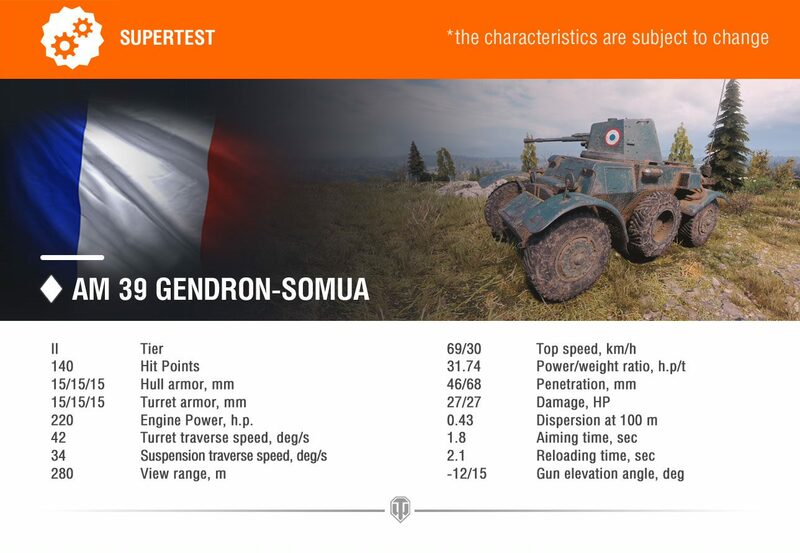 Yet it possesses better mobility and crosses difficult terrain with more ease. 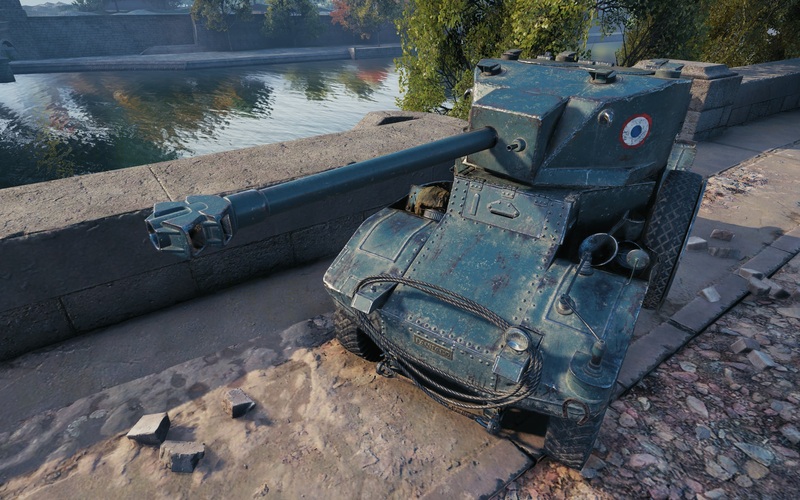 Also, it has good gun stabilization but limited view range and isn’t able to turn its hull in place. 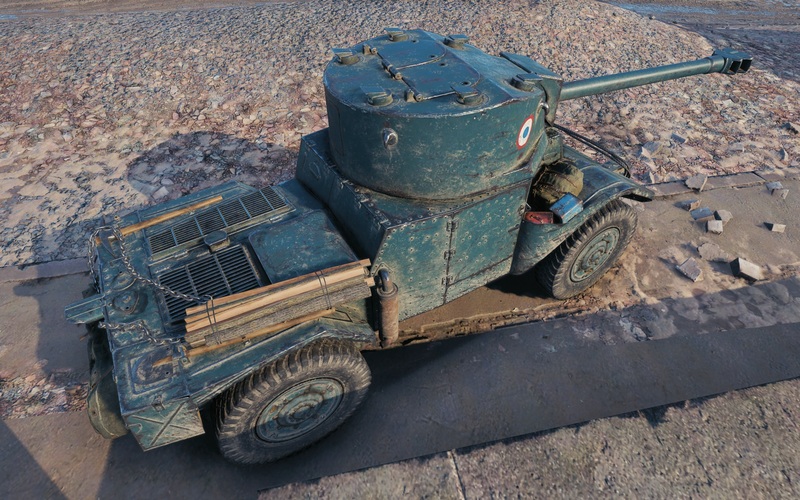 The armored car is vulnerable and should avoid face-to-face shoot-outs as it has neither armor nor firepower required for those. 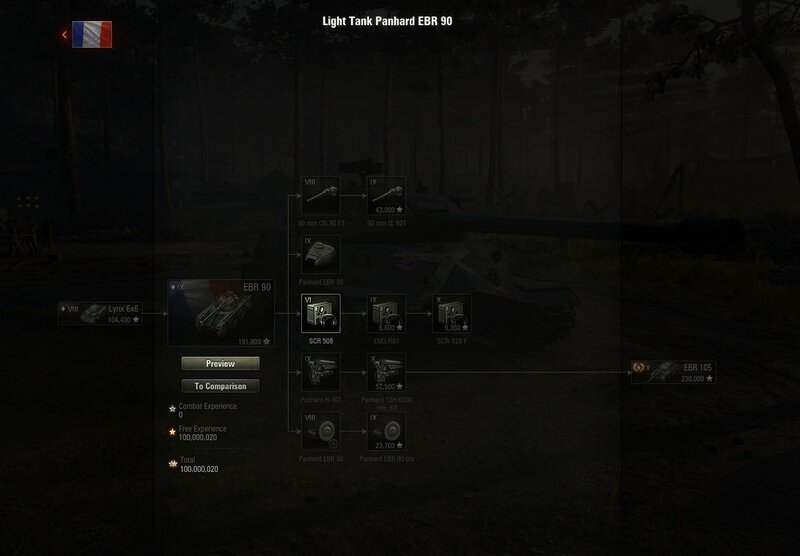 Its tactical niche is providing active spotting and fire support while relying on its swiftness. 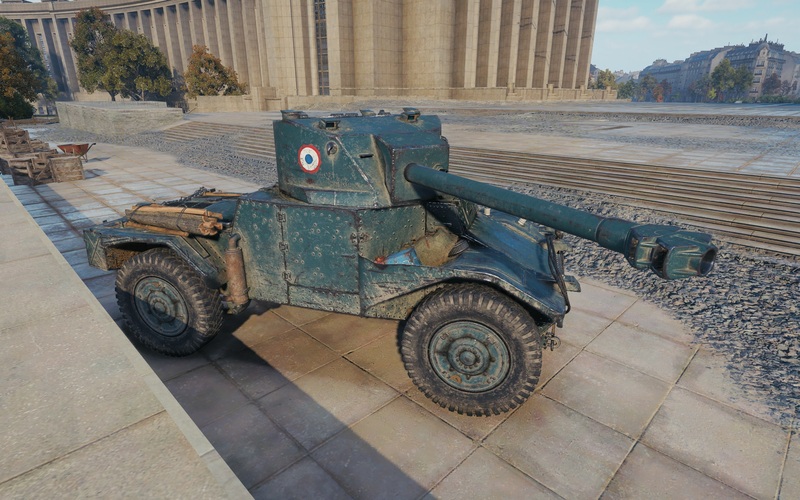 Depending on test results, we may change the armored cars’ stats and/or mechanics. Stay tuned and may luck shine on you in every battle!